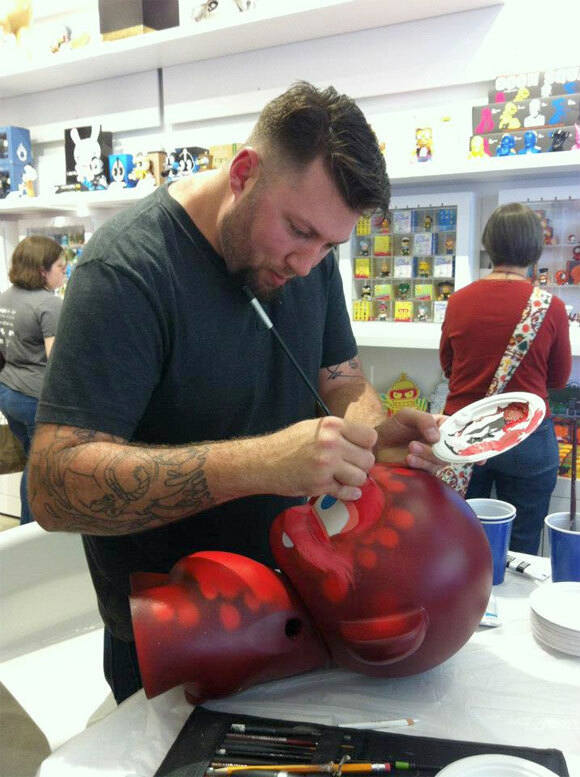 Kidrobot officially celebrated the grand opening of our new Boulder store this past weekend with 2 days of live art by Scribe. 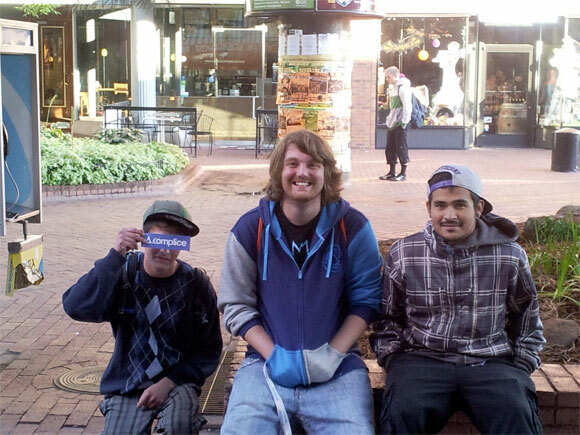 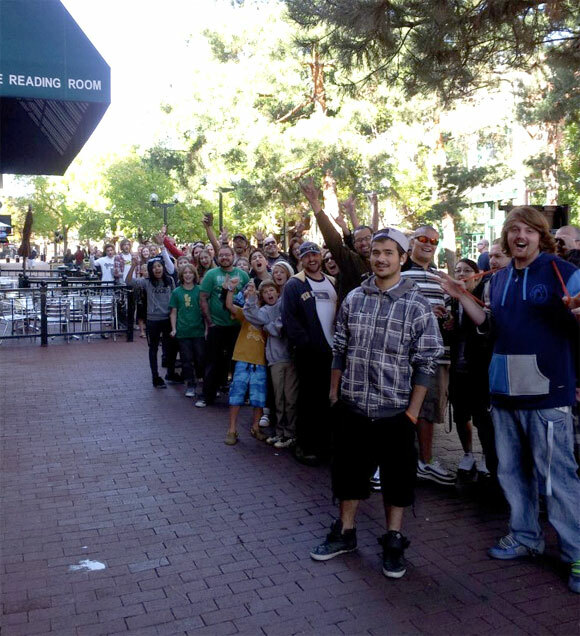 Colorado Kidrobot fans started showing up at 7am as the line stretched down the Pearl Street Mall. 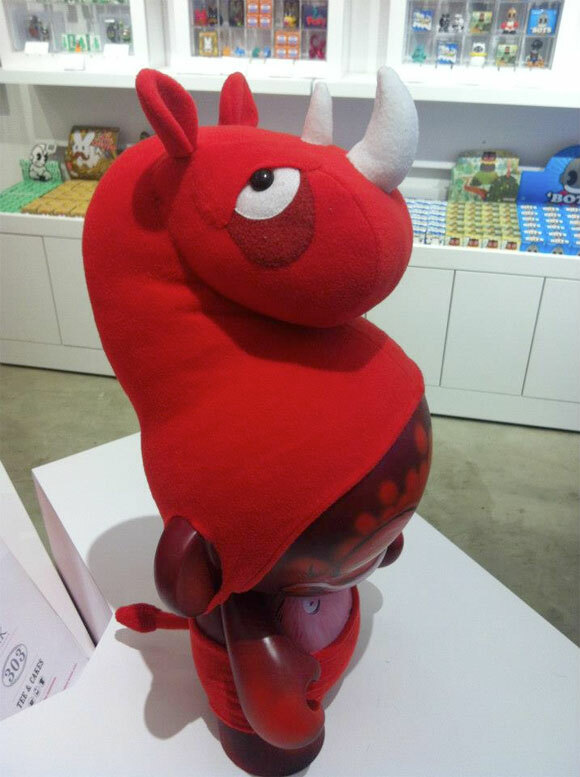 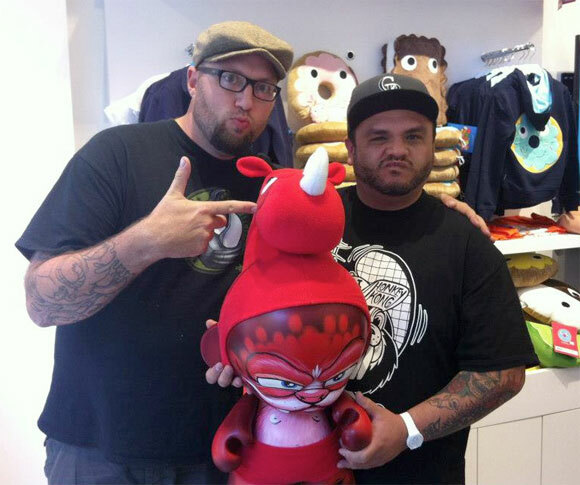 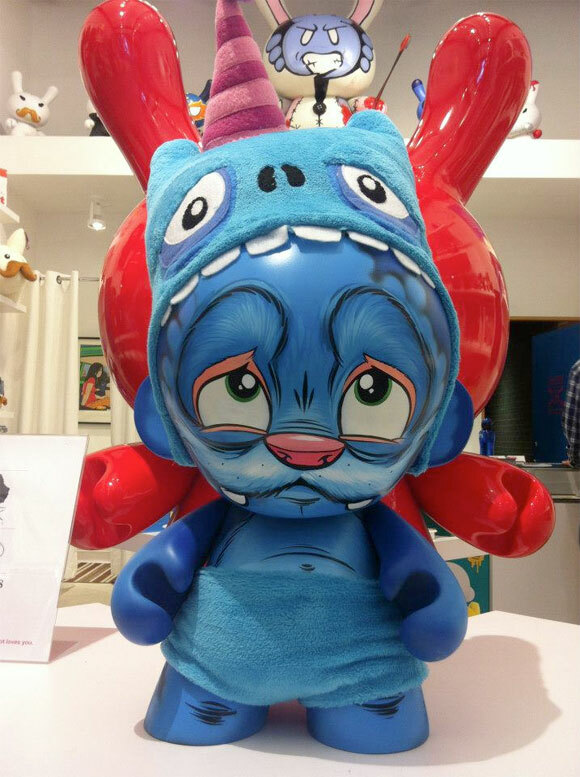 Scribe customized 2 Mega MUNNY masterpieces and topped them off with some prepared plush head dresses. 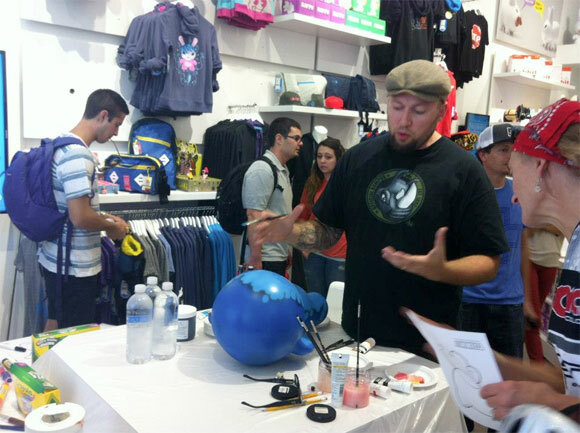 Both were raffled off during the 2-day DIY event. 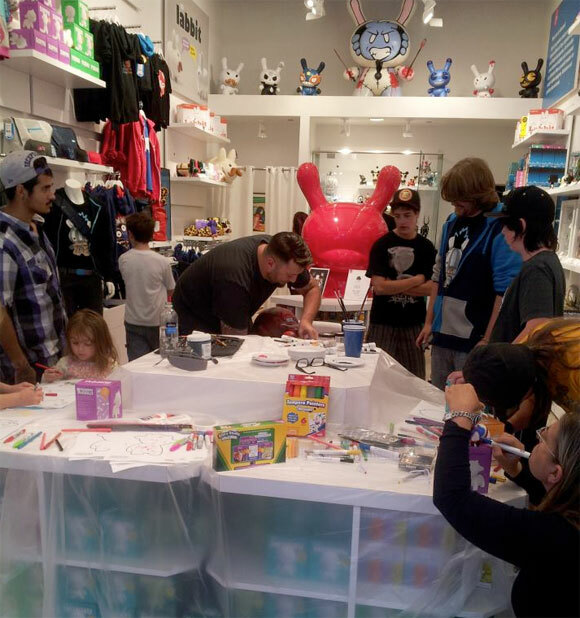 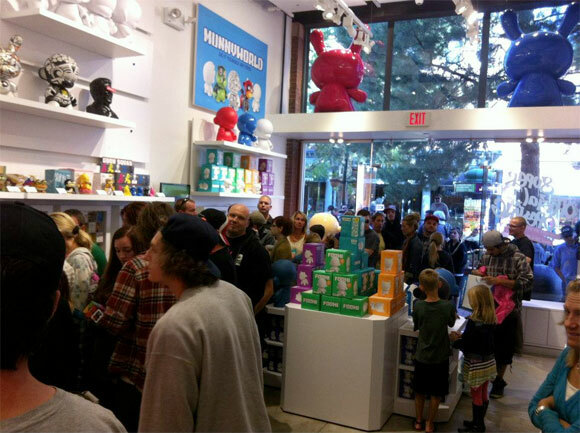 You can see more pics of the weekend events at Kidrobot Boulder’s Facebook page.